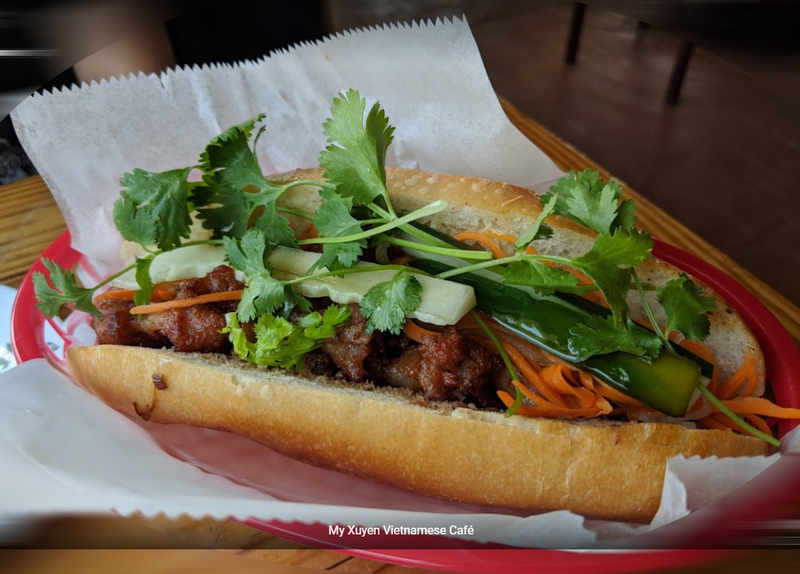 (bánh mì) is an airy and crunchy French-style baguette, stuffed with an every varying combination of meats, vegetables, and sauces. The traditional meats you find in are pork, pâté, and cured ham. Then, additional bánh mì ingredients are a mélange of Vietnamese herbs and vegetables. Typically, the vegetables are coriander, cucumber, carrot, slices, radish and more depending on what part of the country you are in. Generally speaking, it is an airy Vietnamese baguette made with a combination of wheat and rice flours with a thin crispy crust. The sandwich gained popularity around the world after the Vietnam War.